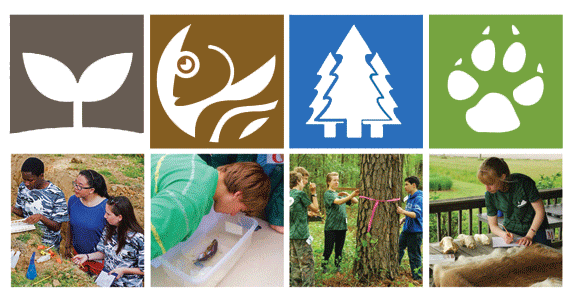 The Virginia Envirothon is a team based natural resources competition for high school students. 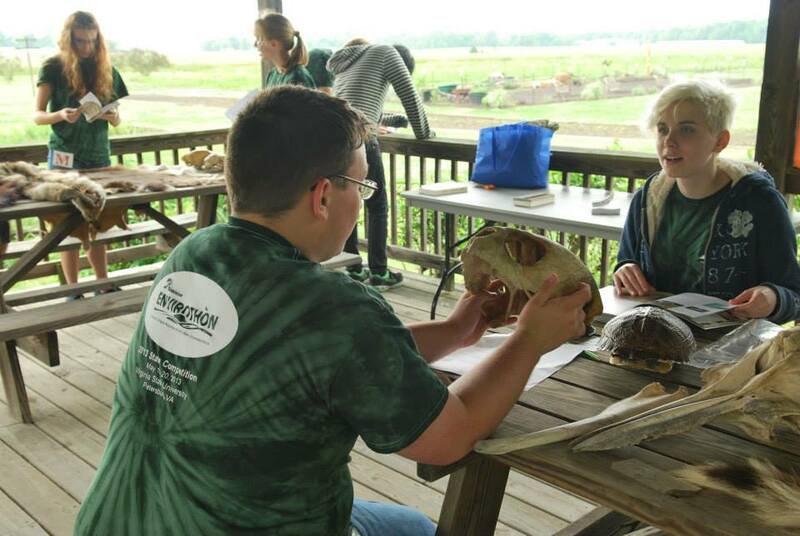 Students who participate learn stewardship and management concepts and work to solve real world environmental problems. The program is field-oriented, community based and gives students an opportunity to work with natural resource professionals. 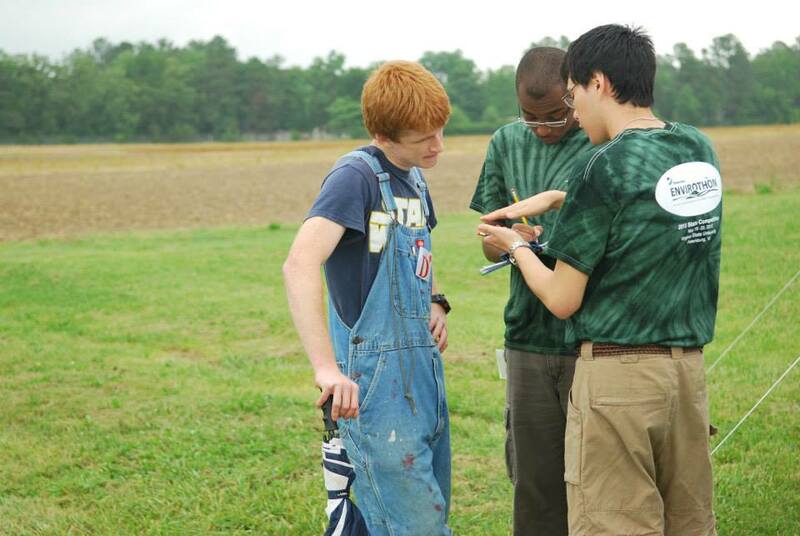 Click Here for a video overview of the Dominion Envirothon competition! Students work in teams of five. 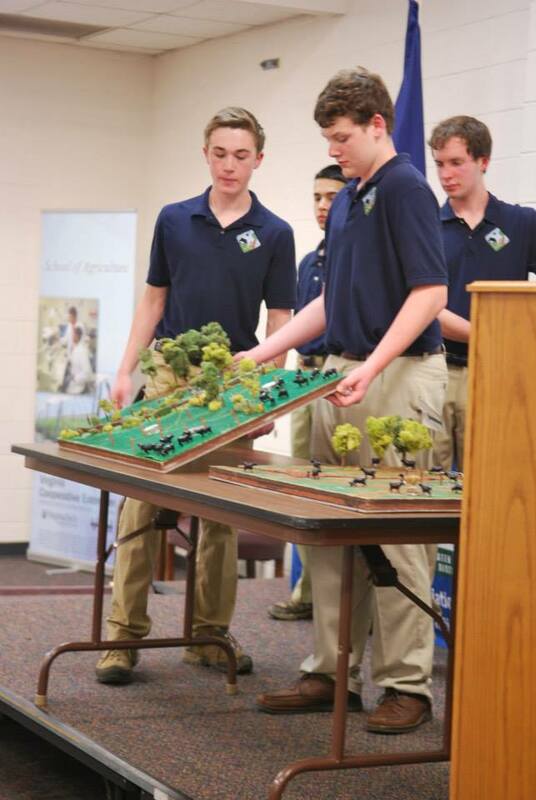 Throughout the school year students prepare to compete at the local level, qualify to then compete at the area level and the top three teams from the six Soil & Water Conservation District areas in the state compete to be the State Winner. These teams of high school students are tested on their knowledge of natural resources-soils, forestry, wildlife, aquatics and a current environmental issue. Students visit five “in-the-field” test stations where written and hands-on problem sovling is required along with an oral presentation formulating a strategy to address a specific environmental issue they’ve been presented with. The event is competitive but education is the bottom line. Teams can be created through school clubs, classes, home school groups, 4-H groups, scout troops, local nature centers etc. The only requirements of at team are a minimum of five students and one adult advisor/chaperone.